Looking down the street to the Celsus Library. Ephesus (or Ephesos) is a large site so it would be advisable to narrow the survey of your paper. Provide an overview of the archaeological work that has been done over the years at Ephesus. You will want to mention the "Marble Sacred Street," the "Great Theatre," the "Library of Celsus," the "Facade," the "Commercial Agora," the "Library Square," the "Gate of Augustus," and the "Curetes Street" , just to name a few. Perhaps list the buildings which have been discovered and then focus on one or two of them in more detail. Be sure to discuss the relevance to your understanding of Acts and the NT Epistles. The official website for this large site is found at Ladstätter, Sabine. "Excavation History of Ephesos. "Austrian Archaeological Institute, 2015 LINK. For background material you should use a good Bible Dictionary (listed below).The archaeological history is presented at"Excavation History. " Ephesus Foundation LINK and then maybe some individual buildings from the various teams working there at the moment. Most of the site has been excavated and depending on the year there may or may not be anything being done on the site. Remember to provide"the historical background of the site (including history of previous archaeological excavations, if any), objectives of the current excavation, progress at the site, and significance of discoveries to biblical study. "Make sure to choose a good encyclopedia, journal articles, and books that specialize in the subject. This will give you a cross section of material. Some articles and books to get you started: (Most of these are available through the Liberty Library). 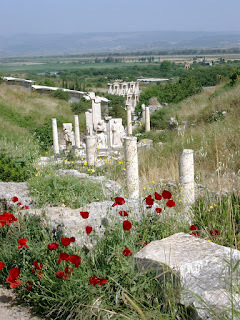 I highly recommend my books and articles on Ephesus. Finegan, J., “Ephesus,” The Archaeology of the New Testament: The Mediterranian World of the Early Christian Apostles. Boulder: Westview, 1981, 155–71. Koester, Helmut, ed. Ephesos Metropolis of Asia: An Interdisciplinary Approach to Its Archaeology, Religion, and Culture. Harvard Theological Studies 41. Cambridge, Mass. : Harvard Divinity School, 1995. McRay, John. “Ephesus,” Archaeology and the New Testament. Grand Rapids, Mich.: Baker, 1991, 250-61. McDonagh, Bernard. Blue Guide: Turkey. 3rd ed. London, U.K.: A & C Black, 2001. Mitchell, Stephen, and A. W. McNicoll. “Archaeology in Western and Southern Asia Minor 1971–78,” Archaeological Reports, no. 25 (1978): 59–90. Mitchell, Stephen. “Archaeology in Asia Minor 1979–84,” Archaeological Reports, no. 31 (1984): 70–105. _____. The Letters to Seven Churches. London: Hodder & Stoughton, 1904. LINK There is an newer edition with few differences but not online. Ramsay, William M. The Letters to Seven Churches: Updated Edition. Edited by Mark W. Wilson. Peabody, Mass. : Hendrickson, 1994. Wilson, Mark W. “The Early Christians in Ephesus and the Date of Revelation, Again,” Neotestamentica 39, no. 1 (2005): 163–93. Wotschitzky, Alfons. 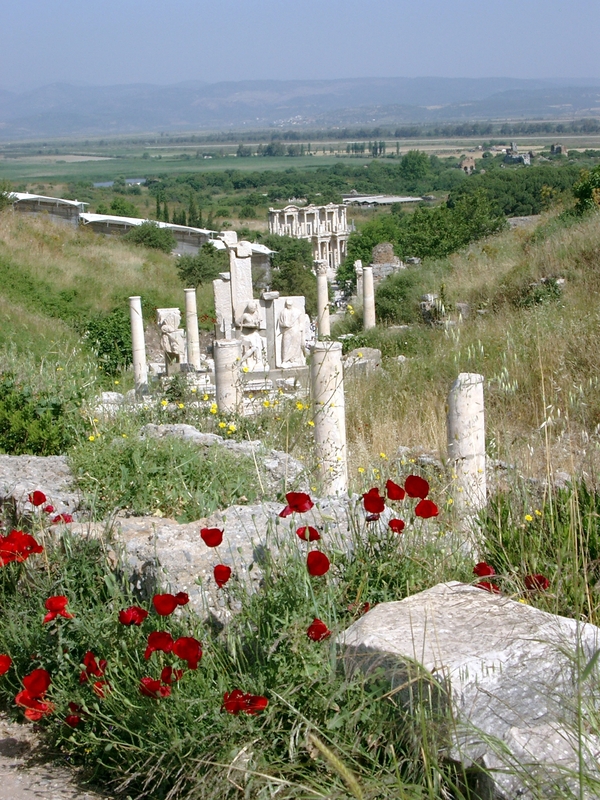 “Ephesus: Past, Present and Future of an Ancient Metropolis,” Archaeology 14, no. 3 (1961): 205–12. JSTOR. Yamauchi, Edwin M. “Ephesus,” New Testament Cities in Western Asia Minor: Light from Archaeology on Cities of Paul and the Seven Churches of Revelation. Eugene, Oreg. : Wipf & Stock, 2003, 79-114. Aune, David E. “Ephesus,” Eerdmans Dictionary of the Bible. Freedman, David Noel, Allen C. Myers, and Astrid B. Beck, eds. Grand Rapids, Mich.: Eerdmans, 2000. Bammer, A., 1997. “Ephesus,” OEANE, 2:252–55. Blaiklock, E. M., 1987. “Ephesus,” NIDB, 315–16. Blaiklock, E. M. “Ephesus,” in Vol. 2 of Zondervan Pictorial Encyclopedia of the Bible, Vols. 1–5. Revised, Full–Color ed. Tenney, Merrill C., and Moisés Silva, eds. Grand Rapids, Mich.: Zondervan, 2009, 2:324–32. Blaiklock, E. M., 1983. “Ephesus,” NIDBA, 181. Blevins, J. L., 1984. “Ephesus,” MDB, 255–56. Borchert, G. L., 1995. “Ephesus,” ISBE2, 2:115–17. Boyd, D., 1976. “Ephesus,” IDBSup, 269–71. DeVries, L. F., 2006. “Ephesus,” in CBW, 372–79. Finegan, J., 1984. “Ephesus,” IDB, 2:114–18. Miller, C. H., 1996. “Ephesus,” HBD, 270–72. Oster Jr., R. E., 1992. “Ephesus,” ABD, 2:542–49. Pfeiffer, Charles F., ed. “Ephesus,” pages 229–30 in Wycliffe Dictionary of Biblical Archaeology. Peabody, Mass. : Hendrickson, 2000. Reddish, M. G., 2003. “Ephesus,” HolBD, 424–28. Singer, Isidore, Cyrus Adler, Gotthard Deutsch, Kaufmann Kohler, and Emil G. Hirsch, eds. “Ephesus,” in The Jewish Encyclopedia. 12 vols. New York, NY: Funk & Wagnalls, 1906. LINK Not to be confused with the Bridger, David, and Samuel Wolk. The New Jewish Encyclopedia. Springfield, NJ: Behrman, 1962. Vailhé, S. “Ephesus,” in The Catholic Encyclopedia. 16 vols. Edited by Condé Bénoist Pallen, Charles George Herbermann, and Edward Aloysius Pace. New York, N.Y.: Appleton Company, 1913. LINK . Yavuz, Mehmet Fatih.“Ephesus: Archaeology of Ephesus,” In The Oxford Encyclopedia of Ancient Greece and Rome, edited by Michael Gagarin, 3:79–82 New York, N.Y.: Oxford University Press, 2010. Modified May 3, 2016. Copyright © 2016 Electronic Christian Media.